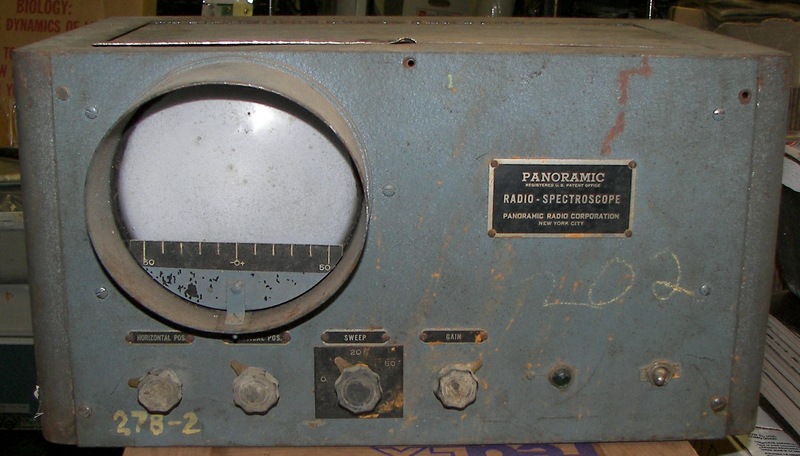 The Panoramic SA-1 is a very early radio spectroscope, perhaps the first such kind of instrument to be commercially available on a wide scale basis. The cost was about $350 in 1941 dollars, or about $4650 in 2008 dollars, so this was not a trivial instrument at all. 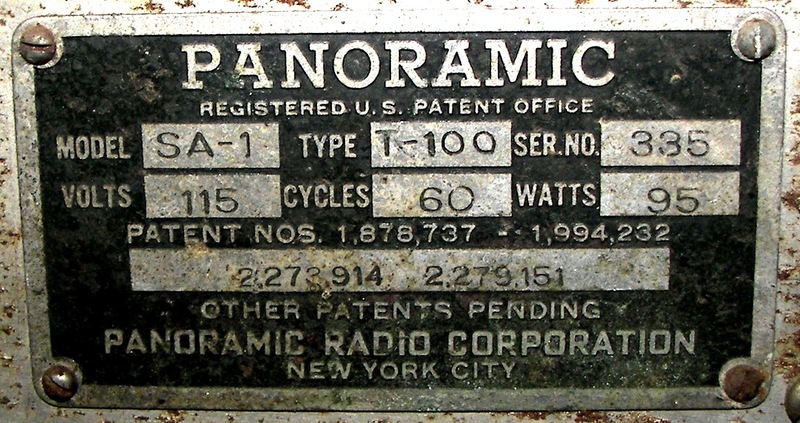 This one was probably made after April 7, 1942 - the date that patent 2279151 was granted, and probably before Feb 23, 1943 when Panoramic's next patent (not on the nameplate) was granted. This kind of instrument might also be referred to as a panadapter, bandscope, spectrum analyzer, ham-scope, or spectrum monitor, although not all of those terms are exactly right or in keeping with the nomenclature of the period. The spectroscope is to be connected to the output of the converter (first detector) before the signal goes into the I.F. (intermediate frequency) amplifier chain of a radio receiver. The purpose of the spectroscope is to display signals within a certain bandwidth, where the signal the radio is tuned to is displayed at the center of that bandwidth. This model, the SA-1 is available in several types, each of which is designed for a different center frequency. The T-100 is designed for 450KHz, and therefore works well with any radio having a 455KHz or similar I.F. frequency. This poor old specimen has seen better days, but most of the damage is cosmetic. 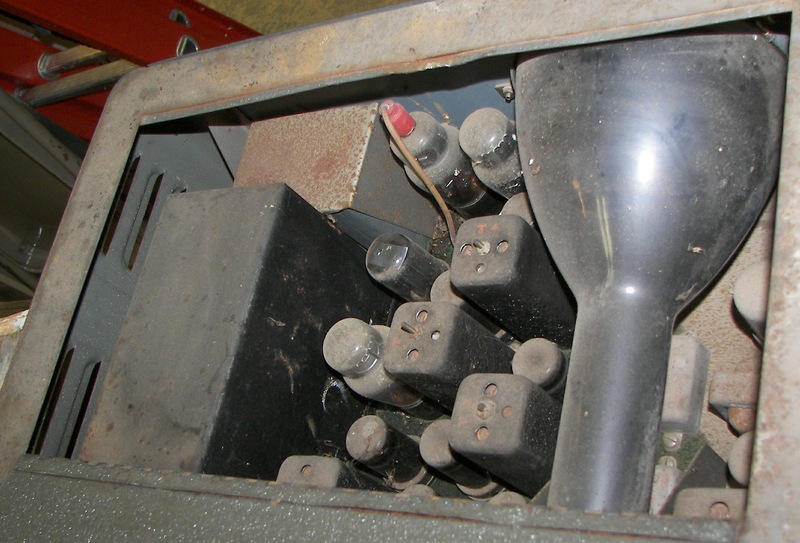 Once it has had a thorough cleaning and the old wax-paper capacitors have been replaced, it will probably work well. 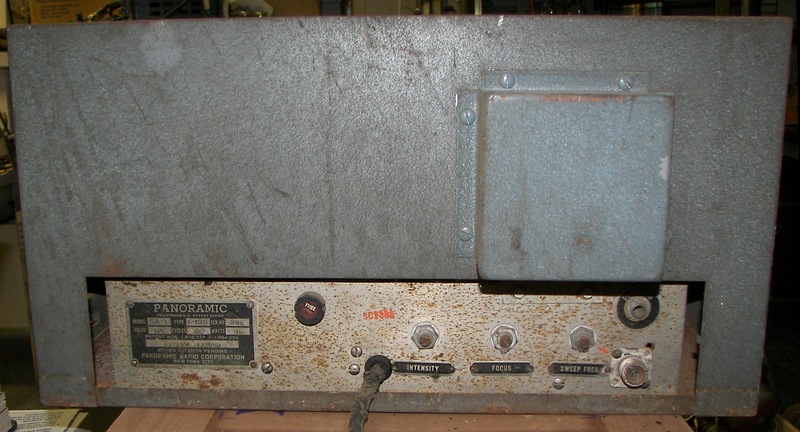 The unit has an SO-239 connector on the back panel, which is incorrect. Originally, there would have been a grommetted hole in the chassis with a shielded cable about 3 feet long coming out. Cable type at that time was apparently low-capacitance microphone cable with rubber dielectric. Polyethelylene dielectric coax cables were currently under development. 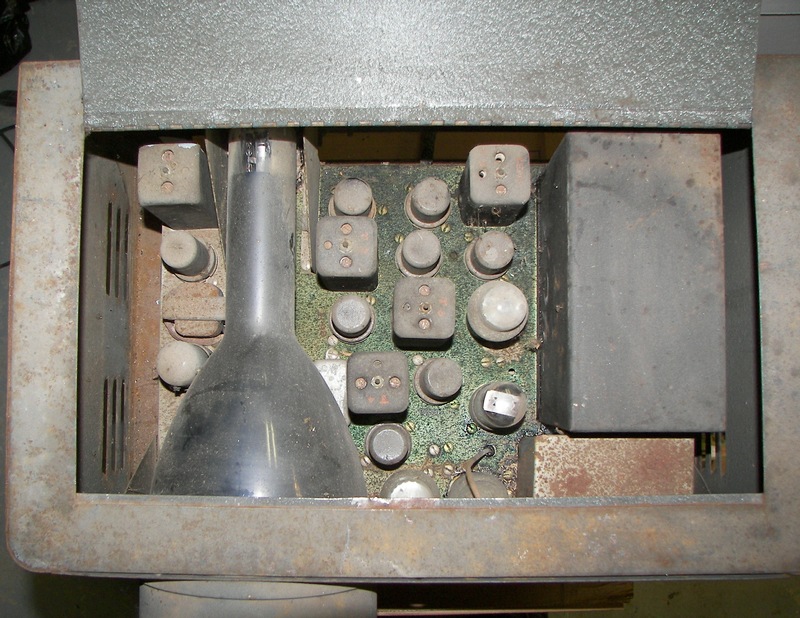 The capacitance of the cable from this connector on to the receiver is part of the capacitance tuning the input transformer, and must be present for alignment. A good receiver of the same period to use it with would be a Hallicrafters SX-28. It will work with 99% of the older tube-type shortwave radios, and within certain limitations, the R-390 and newer rigs. Note however, that the bandwidth at the radio's (approximately) 455KHz pick-off point will be the limiting factor in the observable bandwidth on the panadaptor, meaning that on multiple conversion radios, the BW available from the radio may already be quite limited before being converted to 455KHz. This effect is dramatically emonstrated on an R-390 by seting a panadaptor to a 20KHz bandwidth, connecting the panadaptor to the I.F. output, and operating the radio's selectivity control. The pick-off point must therefore be chosen carefully according to the Panadaptor's manual, and not assumed to be the radio's standard I.F. output connector. Many thanks to Chuck McGregor N7RHU and Anthony Norden for the great information including the scanned manual on this wonderful and rare instrument. Check out Chuck's great panadaptors page at http://home.comcast.net/~cbmcg/Panadaptors.html for a look at a wide variety of these instruments.